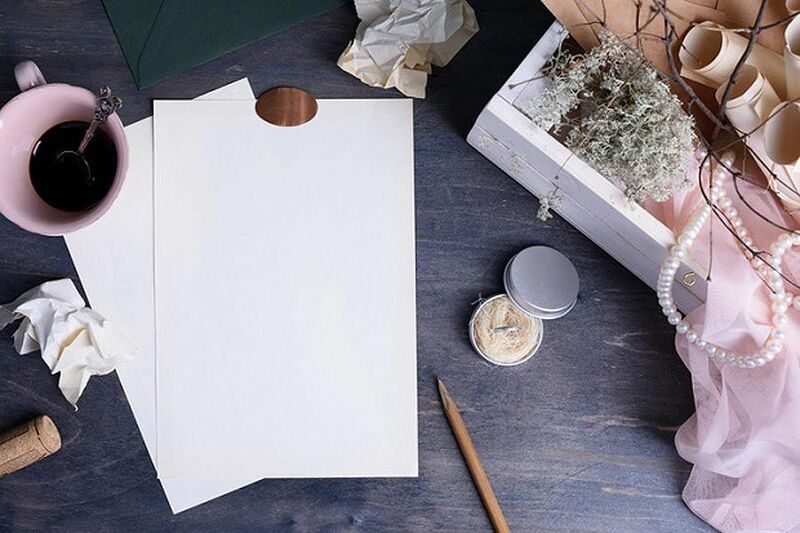 Whether you’re having your wedding invitations letterpressed or making them yourself, most modern brides could benefit from a little education on wording etiquette. “The most important thing is that you feel comfortable with your invitation, because there really is an option for everybody,” says Anna Post, etiquette expert and author of “Do I Have To Wear White? : Emily Post Answers America’s Top Wedding Questions” (Collins Living, 2009). But first it helps to understand the basics, so here are Post’s tips for achieving the perfect formal invitation. The formal invitation begins with the names of the hosts, typically the bride’s parents – i.e. the people paying or the wedding. However, there are multiple variations that account for divorced parents, step-parents and the various scenarios regarding who’s footing the bill. For more in-depth information about wording complex situations, thumb through the 5th edition of “Emily Post’s Wedding Etiquette” (William Morrow, 2005) by Peggy Post. Although you use the abbreviation Mr., always spell out the word “Doctor” if it is part of a title. Include only the bride’s full first and middle name. The year is spelled out on its own line, without using the word “and” between century and decade or year. Include the name of the church or property where the ceremony will take place. Include the full name of the town and state, but do not include the address; for Washington D.C., skip the name of the town and write out District of Columbia. Left-justified at the bottom of the invitation, include simply “RSVP” with en dash between the letters or contact information that follow. Never include registry information on the invite. Once upon a time, guests who received a wedding invitation would know to write their own timely reply in formal language on personal stationary. These days we include reply cards. It’s even OK to save money and trees by using an RSVP postcard, says Post. However, although modern times certainly allow for variation in the RSVP wording, she advises against providing boxes that allow invitees to write in the number of guests – your cousin Joe might view this as an open invitation to bring along his three favorite frat buddies. The respondent fills in the names of all invited guests, starting with a Mr. or Ms. Always self-address and stamp the RSVP envelope. It should be addressed to whomever sent out the invitations and is handling the guest list. Formal invitations have typically included both an outer and an inner envelope. For a family of five, the outer envelope would be addressed to Mr. and Mrs. John Smith. The inner envelope would repeat these names, as well as list any other family members at this address who are included e.g. the names of all three kids, or just the name of the oldest child if you are, say, only including children over a certain age. You may also say “The Smith Family” to include everyone. If you are inviting a friend who is dating someone who lives at a different address, either send each person their own invitation, or write only the name of the friend on the outer envelope, and then your friend’s name and “plus guest” on the inner envelope. These days, however, more people are using just one envelope, says Post. It is less formal, but in these instances, you must include the name of every invitee, as well as the “plus guest,” above the address. Ideally you will limit your enclosures to one sheet, says Post. Only include pertinent details, such as directions and information about hotel blocks and possibly airports if there are multiple options or the location is difficult to reach. You also may include your Web site URL (save space by noting that guests can find the rest of the info on your Web site), but never include gift information in the enclosures, not even to say “No gifts, please,” says Post.